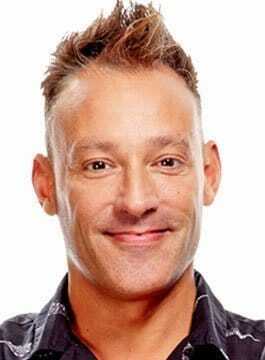 Toby Anstis presents the morning show Monday to Saturdays nationally on the Heart radio network. This is the most listened to commercial show in commercial radio. In 2007, Toby Anstis committed to ‘Killer In Me’ on ITV, in which four celebrities took part in a groundbreaking DNA test that revealed the secret killers lurking in their genes. Toby agreed to take part with Fiona Phillips, John Barnes and Andrew Neil. They found out their risk of developing 11 major diseases, including cancer, heart disease and Alzheimer’s. Toby also acted as a judge on VH1 and MTV’s search for new girl band ‘Wannabee’. In 2006 Toby took part in ‘I’m A Celebrity… Get Me Out of Here!’. Toby was also part of the presentation line up for BBC 1’s ‘Dancing In The Streets’ with Bruce Forsyth and Zoe Ball. He voiced the live commentary for the show. In 2006, Toby was part of the judging panel for ‘Britain’s Next Top Model’ and won his heat on ‘The All Star Talent Show’. Toby loves to dance with his heart on his sleeve and because he has been short of a lesson or two, won 60% of the public vote! Toby’s happy to say he only came third in the final! In 2005, Toby presented a nightly show from Cyprus over a two week period called ‘Trust me I’m a Holiday Rep’ for Five, which proved a ratings success. Prior to this Toby has hosted two series of ‘TV Scrabble’ for Challenge TV. Based on the popular board game ‘TV Scrabble’ was Challenge TV’s most successful game show for the time. Toby Anstis made his name on television hosting BBC TV’s ‘The Ozone’, ‘The Electric Circus’ as well as the National Lottery Live. He presented cricket films for Grandstand as well as live coverage of ‘Party in the Park’ for ITV2, ‘the Reading Festival’ and ‘Children in Need’. More recently, Toby featured on ITV’s Who’s Doing The Dishes with Brian McFadden and took centre stage at CBBC’s celebrated 30th anniversary, alongside Phillip Schofield and Zoe Ball. Toby presented the backstage interviews at the National Television Awards as well as the live narration. This year Toby appeared in his second Pointless Celebrities for BBC1, and is the only celebrity to win back to back shows! Toby starred in a Come Dine With Me Christmas Special on Channel 4. He has been made an honorary ‘Loose Man’ on a job swap with then Loose Woman’s Denise Welch and Sally Lindsay for ITV’s text Santa. Toby Anstis is available for Awards and Live Event Hosting.